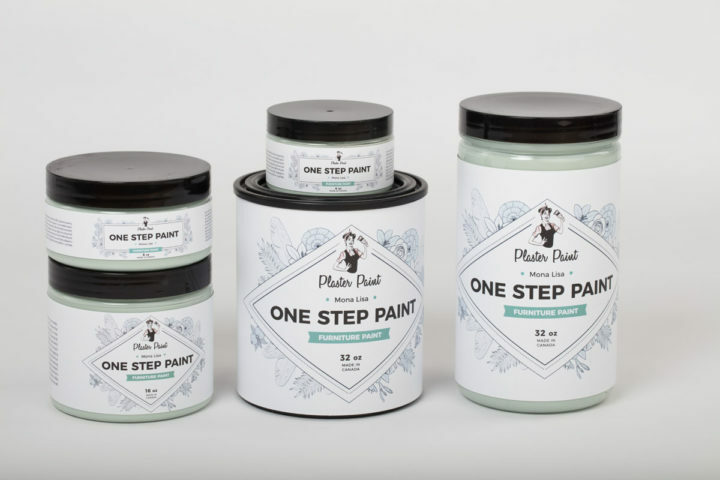 If you’re looking for a durable, smooth chalk feel, vibrant and long lasting paint, here it is. One Step Plaster Paint eliminates the need to seal your project. Only minor sanding or the use of New Surface is recommended before paint application. If your planning to apply One Step to high wearing areas such as counter tops, cupboards, or tables, make sure you apply liquid wax sealant to provide an extra durable surface. One Step need light sanding if the original finish is high gloss, oiled or has a slick surface. If don’t want to sand then use New Surface for best results. If piece is raw wood you can apply without any prep. Clean piece with soap and water and let dry. Can be applied to most surfaces . Apply 1 to 3 even coats (Red & Pink may take a few more applications). VERY IMPORTANT! Let the paint dry 4-6 hours between coats. Following the grain of the wood, use consistent brush strokes from one end to the other. Clean any drips from edges. To ensure a smooth finish, ensure nothing rubs against or scratches the paint for 20 days for a full cure. If choosing to distress you can ONLY dry sand. Oil based with soap and water clean up. or tables, our Liquid Wax. Our Restore Synthetic Brushes are best for One Step. Requires only light sanding or use of New Surface before painting. 1-3 coats covers most surfaces. Available in 18 colour options.
! Use it on woods, metal and glass.